Weekly, I usually will get a handful of emails or phone calls about scheduling a last minute newborn session for their baby, not knowing that at 4 weeks they are usually ( I say usually as premies can be the expetion to the rule) out of the time frame for newborn photography. 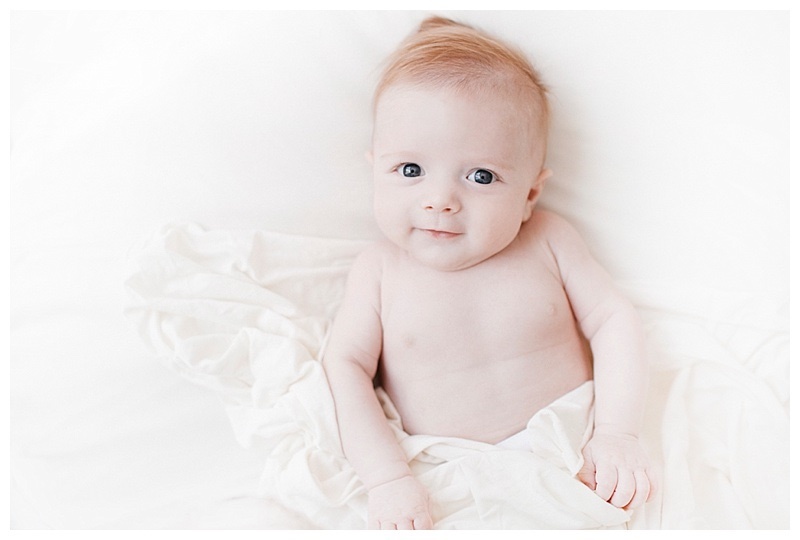 If you are right outside that time frame for the typical newborn portraits, not to fret, the next best time if going to be at 3 months ( as seen in this session below). At three months your baby is still so tiny, coming out of that newborn acne phase if they had it, more interactve with smilng and being able to lock in on the camera and still super cuddly! Three months is also another great time for a baby milestone session if you plan on documenting all the major milestones- although if you did a newborn session, I always say its okay to skip the 3 months and go straight for the 6-9 month session when your baby is sitting up! I love photographing studio sessions with a good mix of lifestyle and posed portraits, brings the perfect balance! 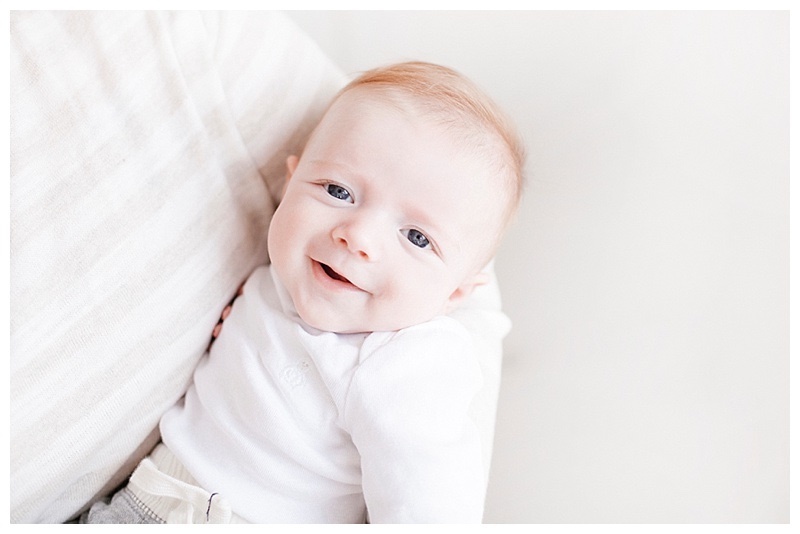 This little babe was so sweet and so cute, here are a few of my favorites from his session!